And another term for Year 3 has disappeared in a whirlwind of symphonies, sonnets, food and fundraising! We dived straight into Term 5 with a fantastic trip to Colston Hall to see Bournemouth Symphony Orchestra's performance of 'Secrets and Codes'. We had learned some songs, actions and body percussion to accompany them and it was an incredible experience seeing a live orchestra - especially when they played the Harry Potter and Star Wars themes!! This was followed closely by our sponsored poetry performance where we wrote, rehearsed and recited a whole range of poetry to raise a fantastic amount for our school. Our first Enquiry this term was all about what makes us move. 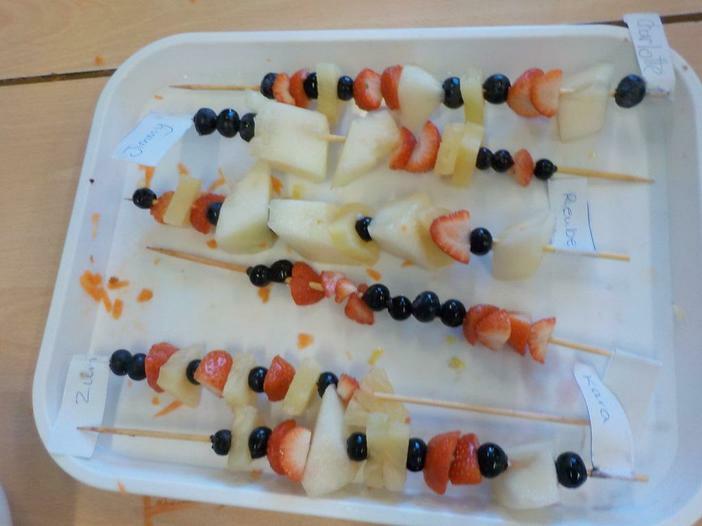 We learned about the skeleton and muscles and debated the sugar tax. We took part in a Year 3 challenge in the hall. Each time the children got a question right, they won the next part of the skeleton. 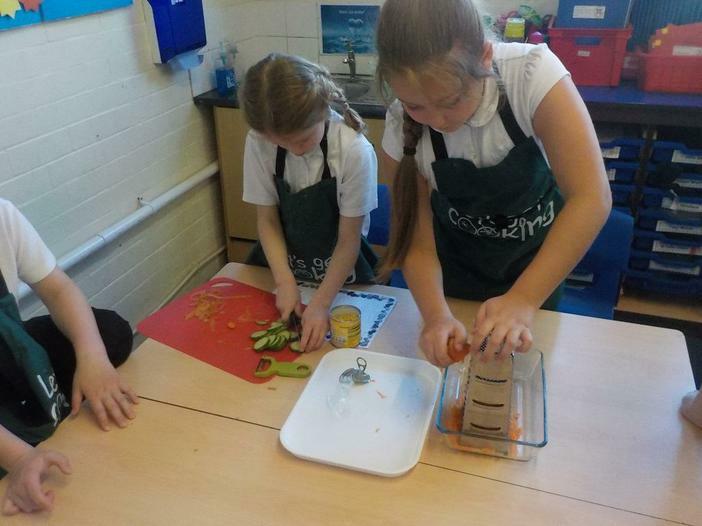 We created and cooked our own delicious, healthy feast. We wrote a shopping list and even went to the local supermarket to get the ingredients. It was brilliant! And so yummy! Our second Enquiry was entitled 'Could you survive the Iron Age' and we have looked at changes from the Stone Age to the Iron Age. We created human timelines to help our understanding of the Stone Age to the present day. We tried out our weaving skills and worked out where we might get our food, clothes and shelter from. We have decided it would be very hard work and aren't sure we'd survive very well! In Literacy, our text was 'Stone Age Boy' and we have been learning skills to develop a story setting description and to add tension to our stories as well as finding out lots of fascinating facts about Stone Age life. In Maths this term we have been blasting through our times tables and recapping what we know about telling the time. We tackled fractions and put our maths skills to good use when we went shopping in Lidl for our healthy feast ingredients! The term ended with a bang in the form of Charity Week. Beech Class learned all about homelessness through our very local charity, Help Bristol's Homeless and Sycamore learned about refugees with Aid Box Community. We collected pants, socks and toiletries, made cookies, cake pops, art and posters to raise money for these very worthy local charities. A short term but another action-packed one for Year 3! We celebrated a very snowy World Book Day together, sharing our favourite books and finding out about new ones. We took part in the House Gymnastics and a fun-filled Science Day where we investigated magnets and joined the whole school 'science fair'. In literacy we read the beautiful book 'Mariana and the Merchild', writing our own newspaper reports about the discovery of the Merchild. In maths we worked hard on division and linking it to our times tables. We loved our enquiry this term finding out about how light works and how shadows are formed. We had an exciting visit from Tallulah Swirls and her wonderful shadow puppets to bring our enquiry to life! The last week of term was the most exciting though, with our amazing Play In A Week with Travelling Light theatre company. They came into school and we worked really hard in our groups as actors, musicians, set designers, customer services and dancers, and created our brilliant play 'The Beginning And The End'! We put on two fabulous shows for parents in Cathedral School's lovely theatre space. It was a fantastic experience! 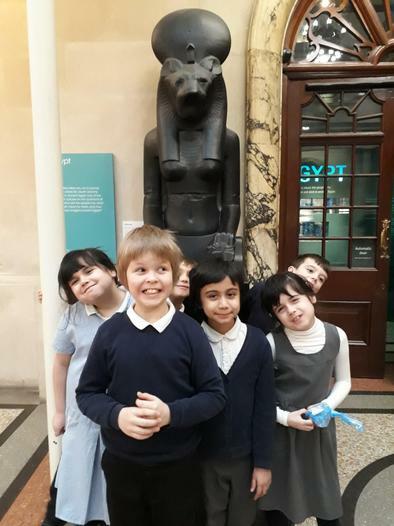 We have had a fun packed term full of amazing Egyptian activities. 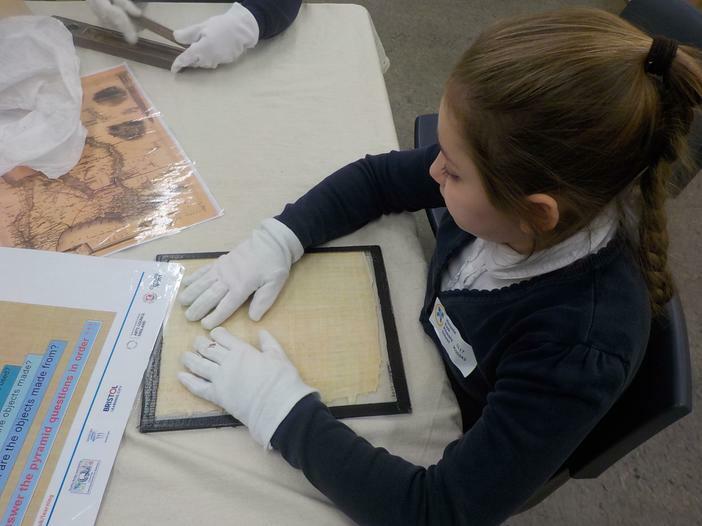 We kicked off our Enquiry topic with a trip to the Bristol Museum, to take part in a workshop. 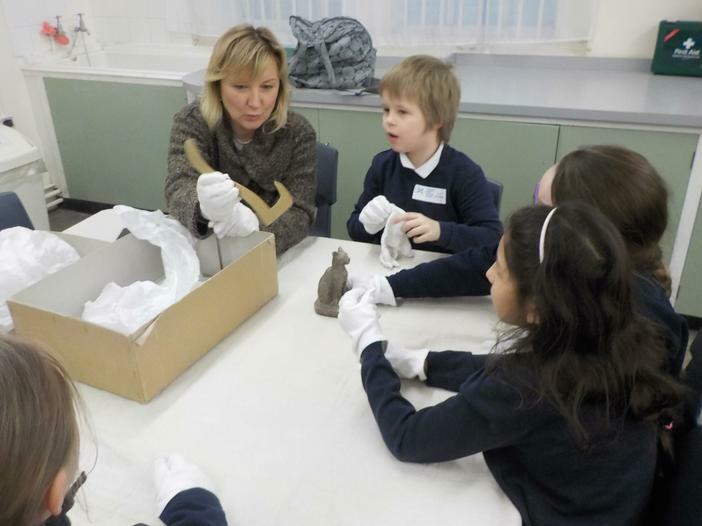 We became archaeologists and explored a range of artefacts, looking for clues about life in Ancient Egypt. Also, within this Enquiry we learnt about mummification. To experience the process and support our writing we mummified a sardine. We also used drama to imagine being an embalmer, mummifying each other. In our PE lessons we created a dance based on daily life in Ancient Egypt. We also used our history knowledge to write a performance poem.Many thanks to all the parents and carers who came along to watch our performance and look at all the amazing homework projects. Maths has been all about multiplication and division this term. We did lots of activities around grouping and sharing and have been practising our times tables. 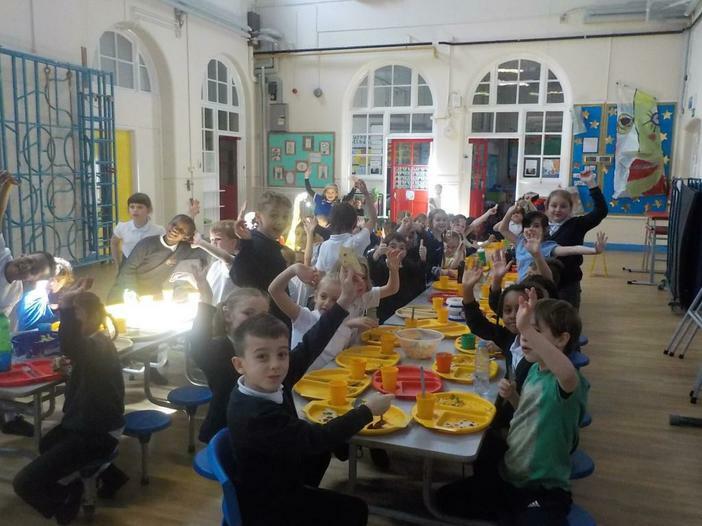 In our Art lessons, Beech Class made some amazing clay scarab beetles! At the end of term 3 we made our own class newspaper! And we loved looking through First News and learning about the world. 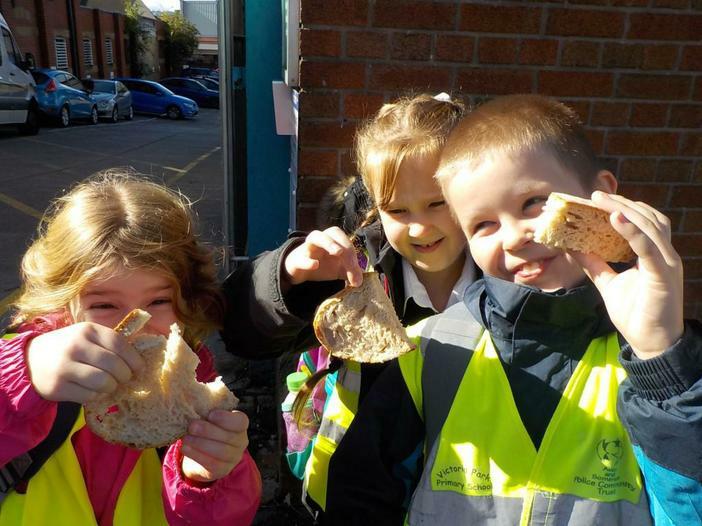 We've had a great term learning about how rocks and fossils are formed. We went on an amazing adventure fossil hunting at Aust where we explored the beach and found loads of fossils!! In maths we have been working on our addition and subtraction skills, using resources to help us and moving on to column addition and subtraction. We finished the term adding money and finding change. We have also been working hard on our times tables and using our Growth Mindset to help us tackle our tricky tables. We have studied explanation texts in literacy, thinking about the features and how to explain processes clearly. We also read "Stone Girl, Bone Girl", a great book with beautiful illustrations which is based on the story of Mary Anning who loved fossils and discovered the fossil of a Plesiosaur or 'fish lizard' among others. We created our own 'cabinet of curiosities' just like in the book and have enjoyed sharing our special rocky treasures, gems and sea glass! 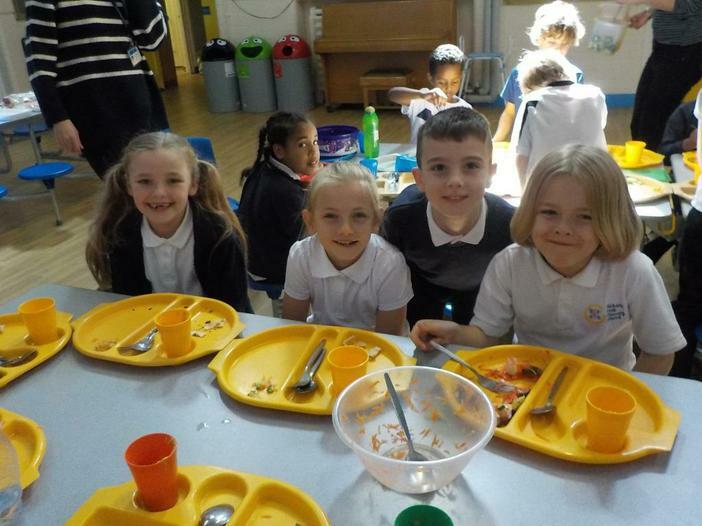 We've had a great start to Year 3 this term. Beech and Sycamore classes have all been working really hard and enjoying our enquiry about 'What makes Bristol Brilliant?' 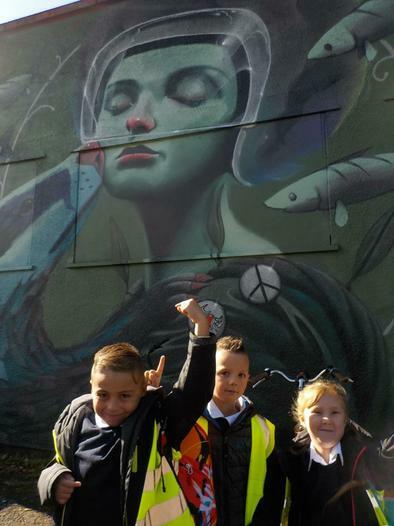 We went for a walk along North Street to explore the street art from Upfest and Marks Bakery treated us to some yummy sourdough on the way! We have shared our favourite places in Bristol, drawn some great tourist maps of the city and added our own persuasive writing for our favourite attractions. In literacy we read the legend of the Bristol Giants, Goram and Ghyston and created our own legends. We learned about the features of persuasive writing and wrote our own piece persuading people to visit Brilliant Bristol! In maths we have been working hard on our times tables to make sure we are confident and have been doing lots of work with concrete resources to help our place value and properties of number. We have also started looking at addition and subtraction and exploring what happens to the digits. We loved PE in the park this term and our fab art lessons with Mrs Johnson. Our French is coming on and we can now do 'heads, shoulders, knees and toes' in French! 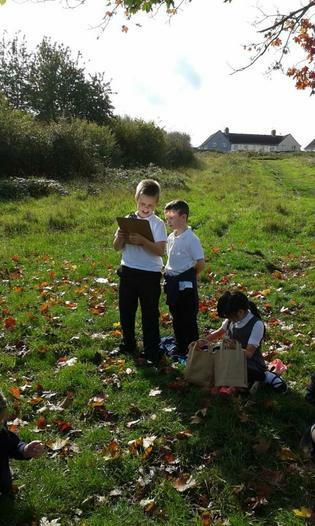 Beech Class enjoyed an Autumn walk on the Northern Slopes to create some poems for National Poetry Day.